A new leak circulating the Web today shows off a feature that has been long sought after by Windows Phone owners; custom backgrounds. Images that surfaced on Windows Blog Italy show that custom wallpaper images will be shown as an overlay across live tiles themselves, rather than the background of the phone. The feature has been rumored for some time and this is the first time we’ve actually seen it in action. It might not be quite what Windows Phone enthusiasts were hoping for, but it’s a nice twist on the traditional background wallpaper look. 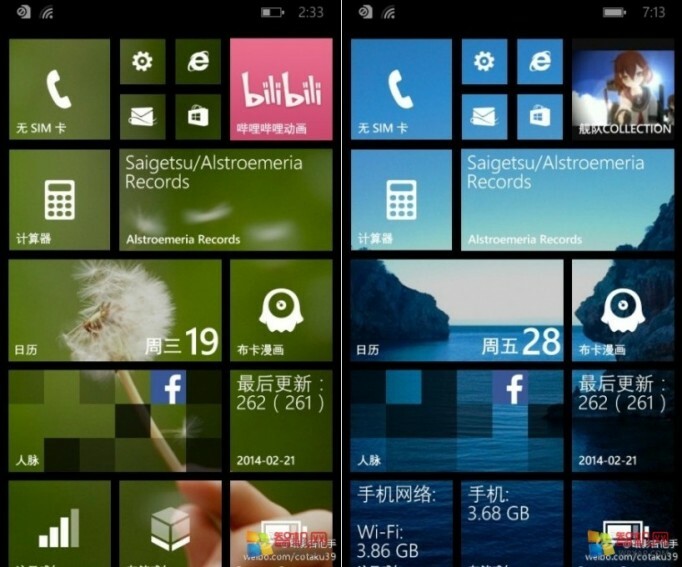 Windows Phone 8.1 is expected to be unveiled at Microsoft’s BUILD conference this April.